An ubu tachi signed, Bishu Osafune Yoshimitsu, and dated Onin ni nen hachi gatsu hi (a day in August 1468). Hawatare: 2 shaku 0 sun 4 bu (61.82 cm / 24.34"). 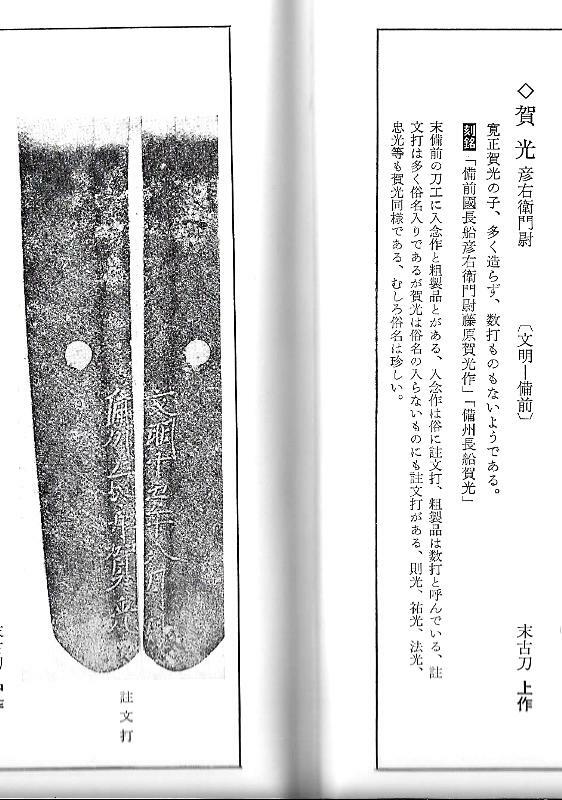 Motohaba: 3.38 cm. Sakihaba: 2.3cm. Kasane: 7.3 mm. Gunome choji, ko-midare, tobi yaki, ashi iri, sunagashi, nado. Itame with utsure. 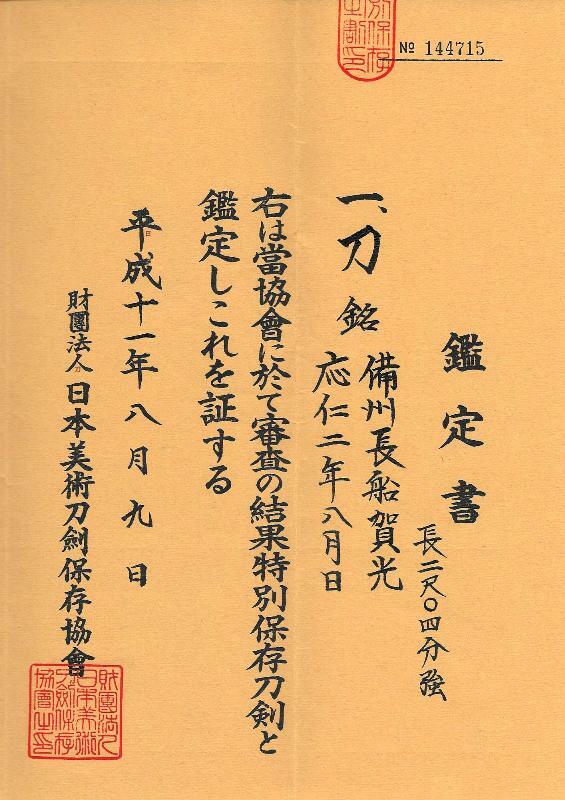 Rated Josaku in Nihon Toko Jiten - Koto Hen, by Fujishiro; valued at 4,500,000 yen in Toko Taikan, by Tokuno, with a sharpness rating of Wazamono; NBTHK Tokubetsu Hozon; Sayagaki by Tanobe Michihiro. As of 2000, there were three juyo by Yoshimitsu, two with the second generation's title and one without that of the first generation. 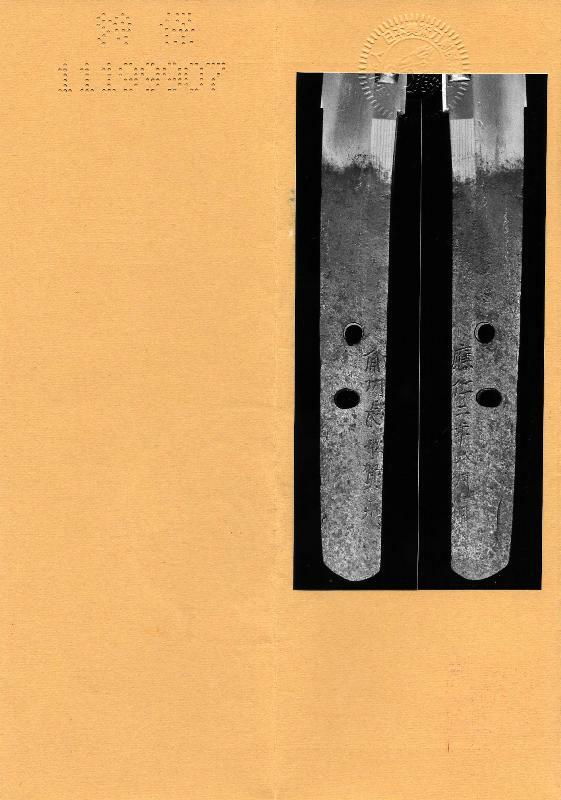 Austere, quality samurai koshirae. Black lacquer saya, iron Higo fuchi-kashira, leather tsukamaki, very good nerikawa tsuba. 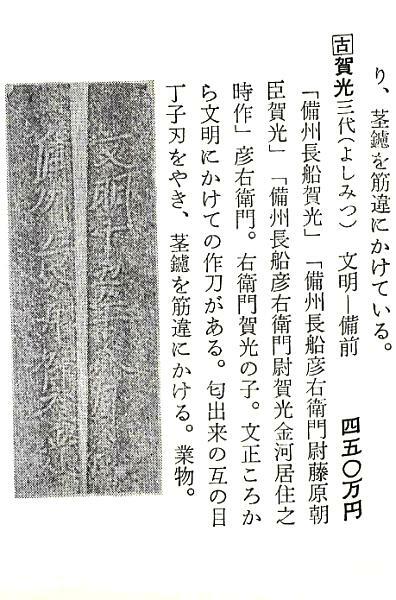 The Sengoku period (country at war), produced two differing grades of sword, very fine swords that were generally custom and course swords for general battlefield use (kazu uchimono). Generally, but not always, the custom blades included his title. This piece was made during the Onin war (14467-1477).